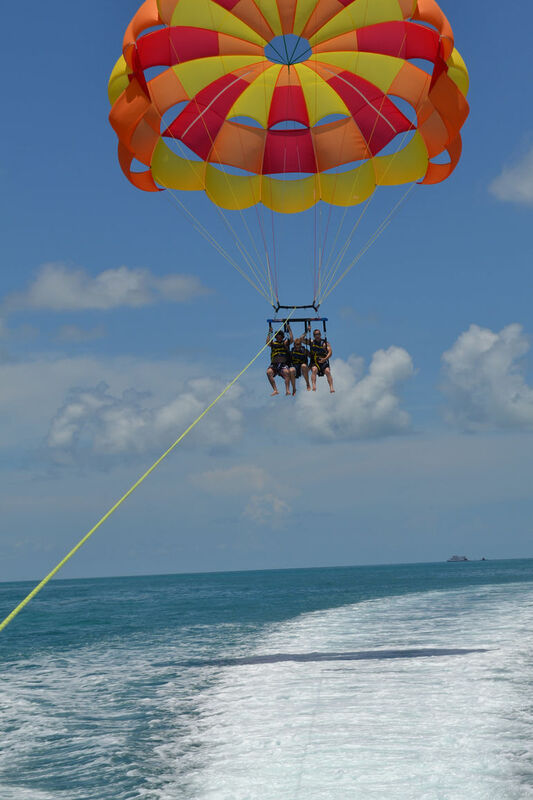 Gentle takeoffs and landings and an excellent view of the sea and significant joints are what await you in Key West Tandem parasailing. You get to float on a tropical breeze as you have a great aerial view of places in Key West. 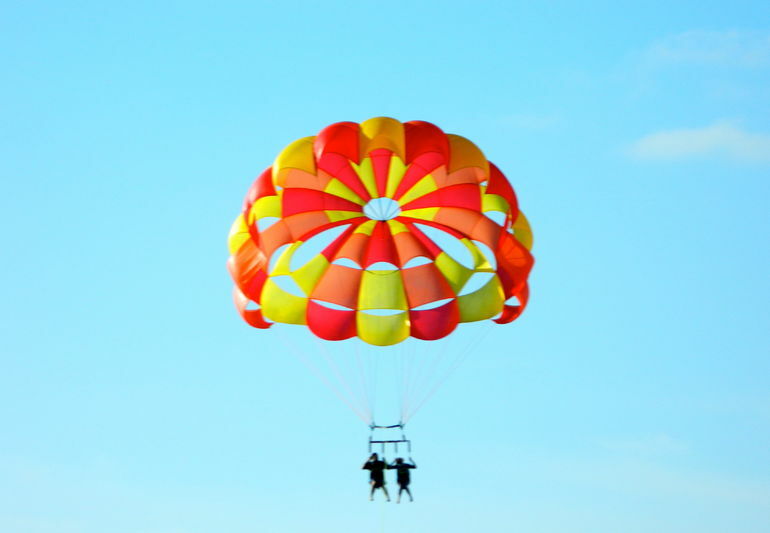 Parasailing is one of the best things to do when you are in Key West. This experience is extraordinary particularly for people who are not afraid of heights. The flight time is 14 minutes, and you will have this experience for one hour. While on top, you will get to see the magnificent palm trees and the coastline. It is interesting that the sight you will have can only be observed on from the air. The air is cool at the top which will enable you to enjoy the adventure. Upon booking your tour on top of Key West, you will be prepared to float on the air. This fun activity can be carried out by people of all ages. Therefore, you can come as a group or an individual. Most importantly, high levels of safety are guaranteed to ensure that the whole experience is superb. The takeoffs and landing are also very gentle such that you will be very comfortable. Key West is known for dolphins. While at the top, you can observe them swimming. It is also interesting to see them eat and or surf in the water. The aerial view provided by the Tandem Parasailing in Key West is exemplary. The adventure will give you indelible memories such that you will long to be in the air for long. Book your tour today to see how Key West looks from the top. Parasail in paradise! On this Key West tandem parasailing adventure, experience the exhilaration of floating high above the water. Look out over the historic Key West and take in stunning tropical views. Parasailing is safe and fun for all ages. On this Key West parasailing adventure, soak in magnificent aerial views of the blue and green colors of the Gulf of Mexico. Admire the palm trees, the picturesque coastline and all your favorite Key West locations while floating high above the water. 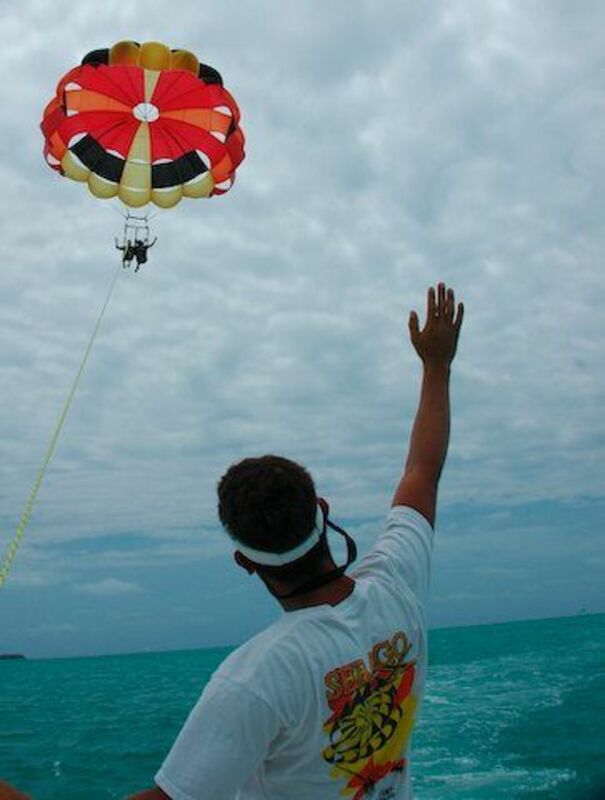 Enjoy a tandem parasail trip, safe and fun for all ages!